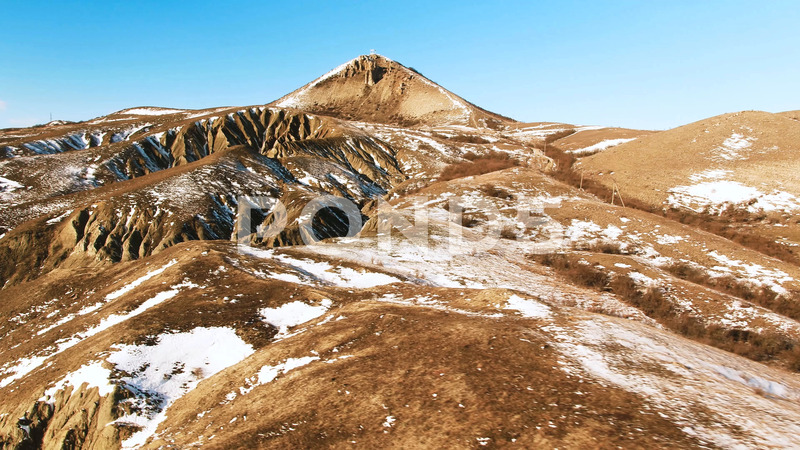 Description: Alpine landscape with peaks covered by snow. Shot. Top view of the mountains covered with snow.